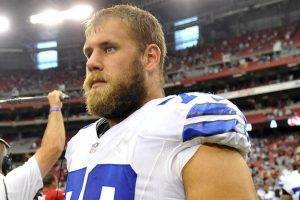 Travis Frederick was born in Sharon, Wisconsin on March 18, 1991. 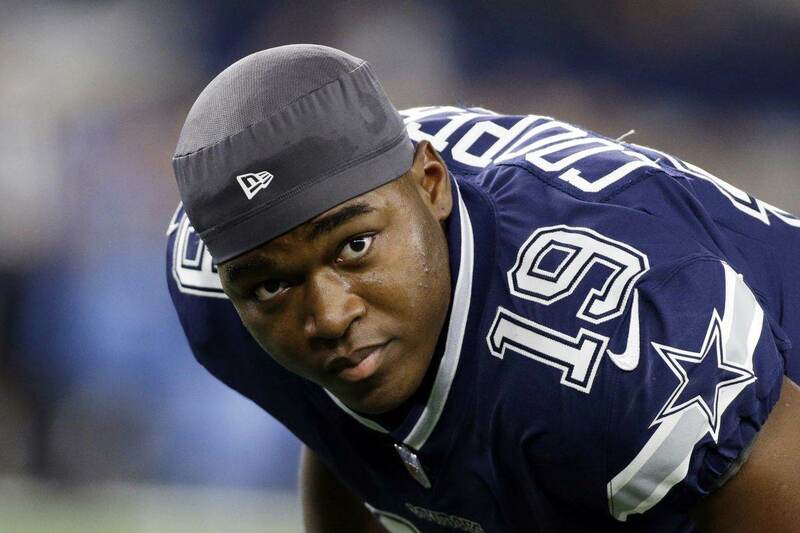 He played his collegiate football career at Wisconsin and is a center in the NFL for the Dallas Cowboys, who drafted him in the first round of the 2013 NFL Draft. Travis Frederick attended Big Foot High School in Walworth, Wisconsin. While at Big Foot, Frederick enjoyed a successful high school career in both the classroom and playing several different sports. He made a name for himself on the football field as a two-way lineman, but he also wrestled and was part of the track and field team. Frederick was a student athlete at Big Foot High School. He graduated with an impressive 4.06 GPA and finished ranked second in his class. As part of the track team, Frederick threw the discus and shot put. In 2008, he finished second in shot put at the BDN Invite, with a throw of 15.23 m (49’11”). Frederick also took silver in the discus throw at the 2008 WIAA Sectional Championships, with a throw of 49.30 m (161’10”). 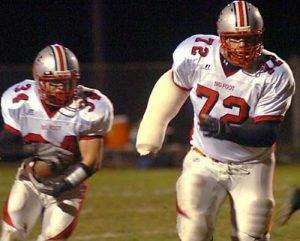 Travis Frederick really made his mark in high school on the football field. In fact, he is the only player in the school’s history to have his jersey number retired. He was an All-State two-way lineman and helped lead his team to the 2008 WIAA Division 4 state playoffs, where they finished second. Frederick was a three-time All-State selection and was named the Beloit Daily News and Wisconsin State Journal Player of the Year as a senior. Also as a senior, Frederick was named All-County, All-District and Conference Lineman. Travis Frederick was considered a three-star recruit by Rivals.com coming out of high school. He received interest from Iowa, Michigan State, and Stanford, but his only offers were from Air Force, Navy, North Dakota State, and the Wisconsin Badgers. Frederick ultimately decided that he would attend Wisconsin and even graduated a semester early from high school in order to be ready for spring practices. Travis Frederick’s decision to graduate high school a semester early so that he could participate in Wisconsin’s spring practices paid off. He was the first true freshman offensive lineman to start the season opener in school history, when he lined up at center against Northern Illinois in 2009. Unfortunately, an ankle injury in week 2 would keep him out of the starting lineup until the final two games when he played left guard as an injury replacement. In 2010, Wisconsin’s coaching staff decided to red-shirt Frederick in order to preserve a year of his NCAA eligibility. In his red-shirt sophomore season, Frederick started 11 of 13 games at left guard and also started two games at center as a substitute for Peter Konz. 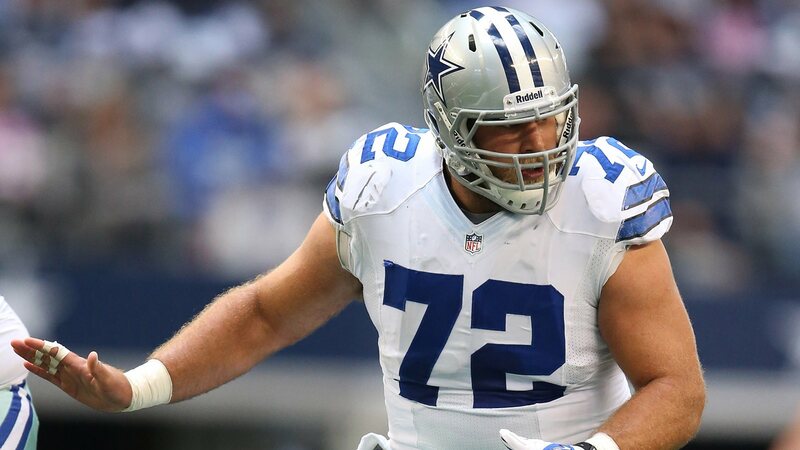 As a junior in 2012, Travis Frederick took over the center responsibilities permanently when Peter Konz left for the NFL. He was named All-American and All-Big Ten Conference first-team based on his 2012 performance. He also added Academic All-Big Ten honors and was named to the watch list for the Remington and Outland Trophies. Travis Frederick announced that he would forgo his senior season and enter the 2013 NFL Draft after the Badgers were defeated by Stanford in the 2013 Rose Bowl. 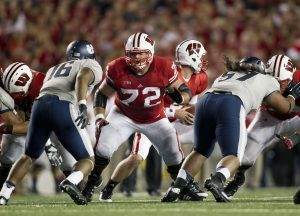 In his collegiate career at Wisconsin, Travis Frederick appeared in 32 games and started 31 of those contests. He started 13 games at left guard and another 18 at center for the Badgers. Draft analyst Mel Kiper Jr. for ESPN considered Travis Frederick to be the #1 center in the 2013 NFL Draft. 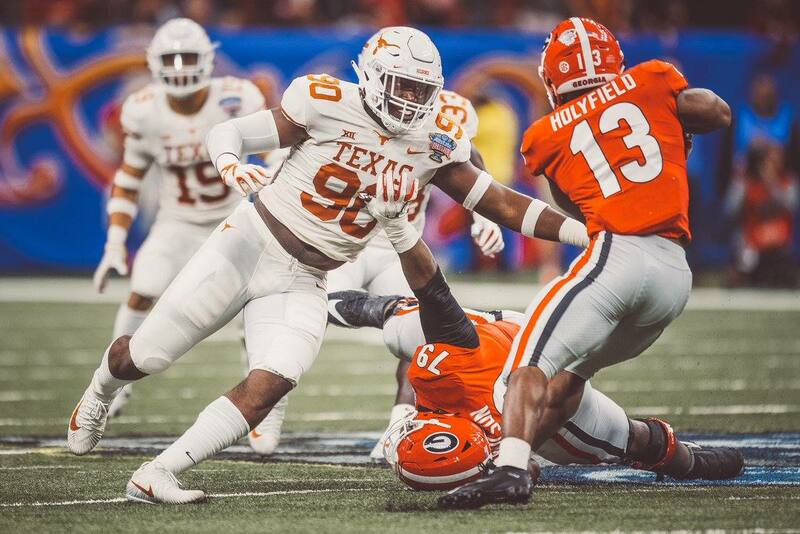 Frederick was projected to be a second or third round selection before the Dallas Cowboys ultimately decided to draft him in the first round. 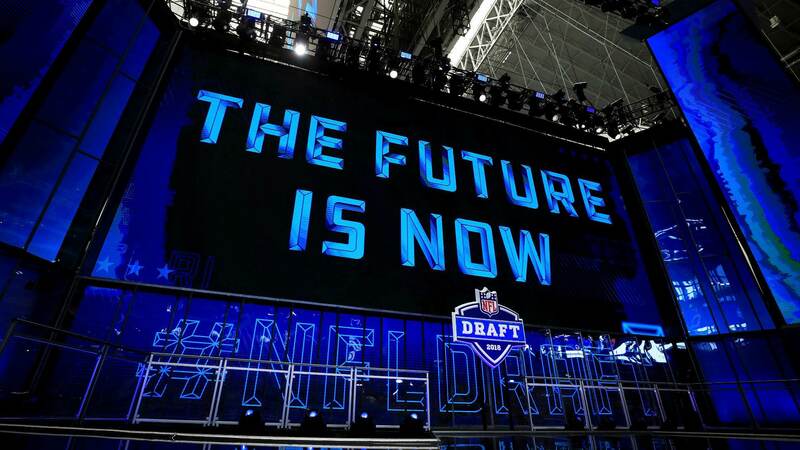 The Cowboys traded their first-round draft pick (18th overall) to the San Francisco 49ers in exchange for the 49ers first-round pick (31st overall) and their third round selection (74th overall), which they used to draft Terrance Williams. With the 31st draft pick, the Dallas Cowboys selected Travis Frederick, Center out of Wisconsin. The selection of Frederick was widely considered a reach at the time because he was projected to be a second or third round draft pick. 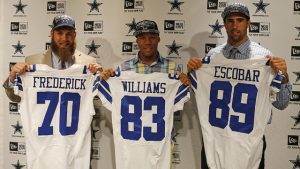 It was believed that the Cowboys received poor compensation for trading down 13 spots. Also, Travis Frederick’s poor performance at the 2013 NFL Scouting Combine played a big part in the criticism. He ran the second slowest 40 yard dash (5.58 sec.) among offensive lineman and posted below average reps on bench press (21). Travis Frederick was named the starter at center from day one of Organized Team Activities when he replaced Phil Costa, who started for the Dallas Cowboys at center the two previous seasons. Frederick became the first rookie offensive lineman to start every game at center in franchise history and went on to be selected to the NFL All-Rookie team in his first year in the NFL. In 2014, Travis Frederick was voted into his first Pro Bowl and anchored arguably the best offensive line in the NFL. Frederick was also named Second-team All-Pro and PFWA All-NFC in his second year in the NFL. In 2015, Travis Frederick earned his second Pro Bowl appearance and was also named Second-team All-Pro. He had to really earn his second Pro Bowl, because he had to work with four different starting quarterbacks with different degrees of knowledge of the offensive scheme, which required him to make more protection calls than usual. Travis Frederick is entering the final year of his rookie contract, but the Dallas Cowboys still hold his fifth year option. The total value of Travis Frederick’s rookie contract is $6,870,028 and he will make an average of $1,717,507, $5,528,206 of which is fully guaranteed. Frederick is the 21st highest-paid center in the NFL out of 95 centers. He is entering the final year of his rookie contract and is guaranteed to make $1,341,822. He will have a cap number of $2,185,918 in 2016. The Dallas Cowboys will then have to decide if they want to pick up his fifth year option or try to sign him to a long-term contract.